If you want to take home the master-piece, it will cost you just €4, but you’ll have to let it dry. For just €19.90, the staff will decorate and fire it in the kiln and post it on to you. 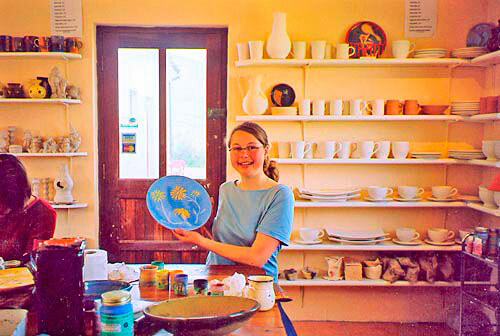 Just up the road, near Ballyferriter, is Faoileán Pottery. 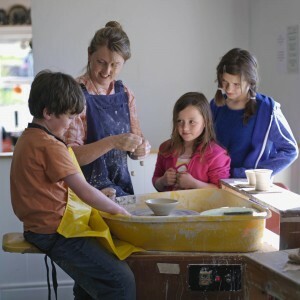 Here Betty Ryan offers the opportunity to paint your own pottery. This is a really fun thing to do! Choose from small tea sets, sugar bowls, cash boxes or mugs. Paint your own design, maybe a personal message. Betty will then fire it in the kiln and it can be collected later. Other possibilities: baby’s footprints on a plate – wonderful idea. 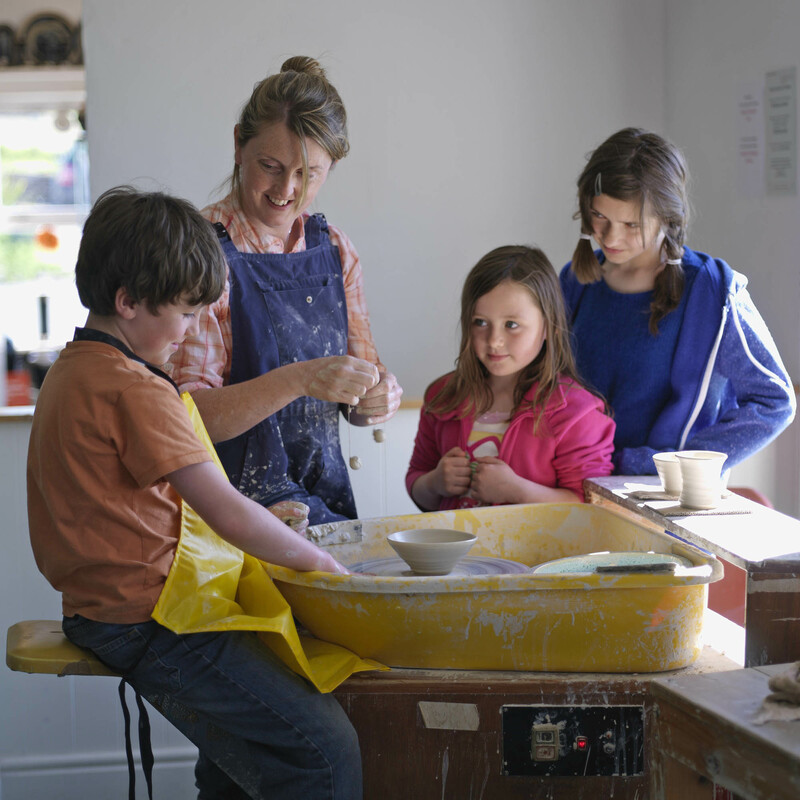 Whatever the finished product looks like, it’s guaranteed to be a treasured possession for parents or grandparents. Suitability: young and old / kid’s birthday parties / hen parties – especially if the weather isn’t great. Cost: €10 plus, depending on what you want to paint. Gaeilge: Seo áit iontach chun cúpla focal a leabhairt. Tá an gaeilge ag Betty agus tá sí go h-iontach chun spreagadh a tabhairt go daoine chun é a úsáid.